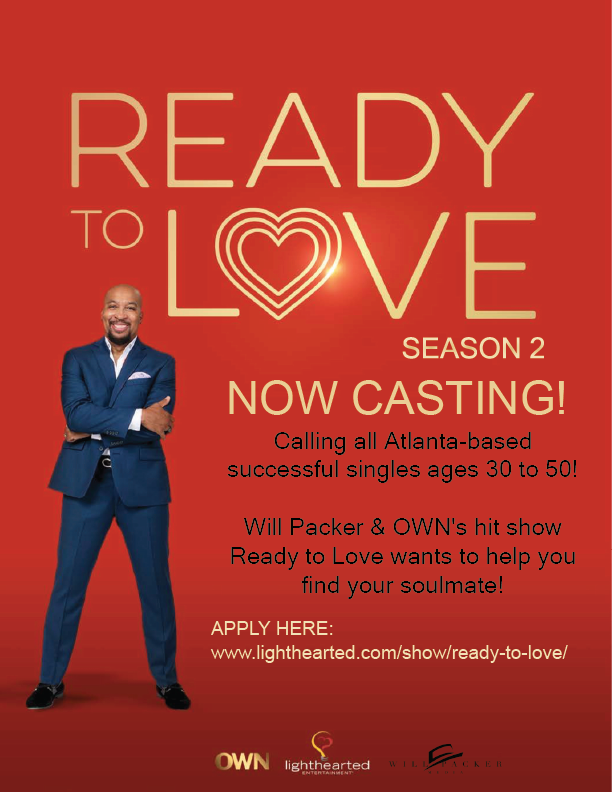 OWN Network’s Hit Show “Ready to Love” NOW Casting Atlanta Singles! Now Casting Atlanta Singles for OWN & Will Packer’s hit show READY TO LOVE! Are you an Atlanta-based single professional between the ages of 30 and 50 who is still searching for that special someone? Are all your friends shocked that you haven’t yet found “the one” because you’re such a catch? If you’re ready to find true love, apply now! Please note, you MUST live within one hour drive of Atlanta to be considered. Why you are ready to love? This casting notice was posted by: Kelley Allen.